An interesting view from the Islay ferry on the way to Port Askaig, light and dark on Jura. While Beinn a’Chaolais and other hills are in dark shade the lower areas close to the Sound of Islay are illuminated by bright sunlight. 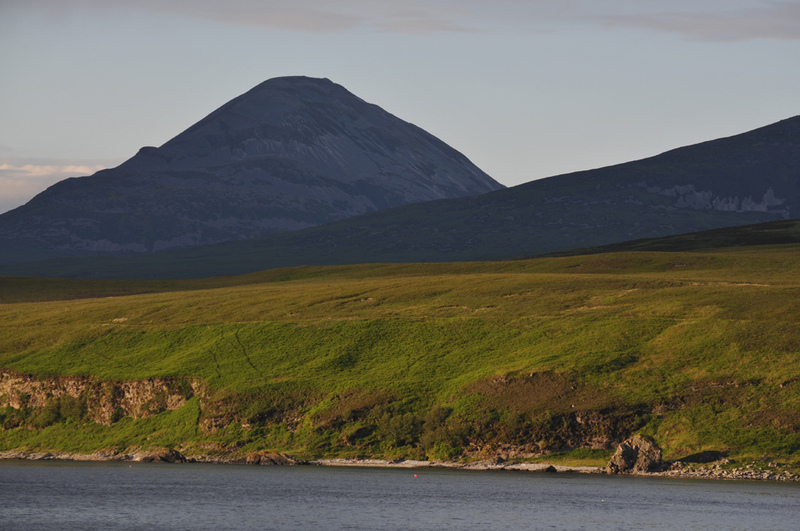 This entry was posted in Cloudy Weather, Landscape, Repost, Sunny Weather and tagged Beinn a'Chaolais, ferry, Jura, Sound of Islay by Armin Grewe. Bookmark the permalink.